A Cleaning Order Confirmation is required before work commences. The requirement is for minimum of 4 hours. The Client must supply the tasks list, cleaning materials and equipment will be delivered by the cleaners. 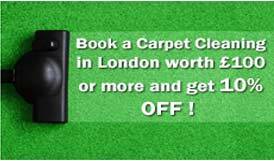 Best Cleaning cannot be held responsible for unsuccessful cleaning visit if the cleaning stuff is not supplied in full working order. The cleaning after building works recently done normally takes twice as the normal time to clean a property. Any building work or washing walls, ceilings, balconies and etc. must be required from labourers, painters and etc. The place must be vacated from all the furniture and working builders, otherwise we can not be held responsible for the quality of our service. We will remove all labels from bathroom, windows, toilets and kitchen. Clean all floors of any paint and plaster. Clean all windows of any paint and plaster. Clean all windows, window frames, sills from inside. Spot clean walls and ceilings. The Client must pay to Best Cleaning £15.00 per hour/per cleaner. No booking fee is required. In case of a complaint, Best Cleaning requires to be notified within 24 hours after completion of the cleaning work. No claims will be entertained after the above time limit. All estimates made on the day of the booking are for illustrate purposes only, they are based on estimates for similar property. Best Cleaning reserves the rights to amend the initial quotation up to 30% if the client’s requirements change on the day of the visit or if the state of the property is different from the information received on the day of the booking. Customer must secure a car parking and if the Clients address falls into the Congestion Charge Zone an additional £10.00 charge may apply. If a client prefers the cleaner to collect the keys from a third party’s address, then he/she will be charged an extra £10.